Black Kross Tattoo – Get inked in Iceland, the best tattoo shop in Reykjavík. I am Jason Thompson and I’m from the states. I’ve been here in Iceland since 2006. I’ve been tattooing since 1999. I’ve been doing good tattoos for about 5.. haha. 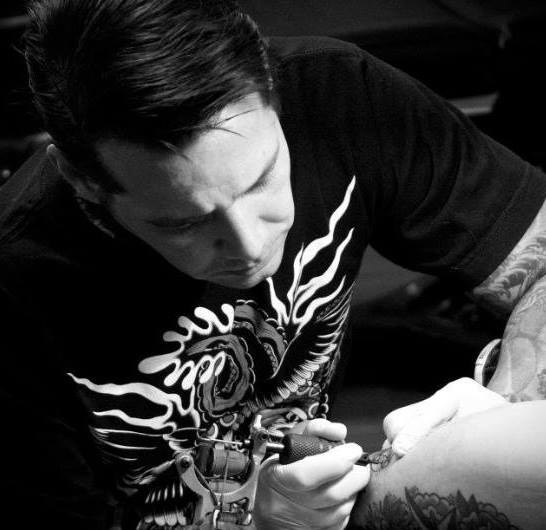 I´ve been tattooing here at few different shops, finally making the jump to open my own shop. When we opened in September 2017 we had an idea that this shop would be different. We started with a great location in a beautiful space in downtown Kopavogur. Our first issue was to strive for a comfortable environment for both the artists and customers alike. With a revolving schedule of international, award-winning artists, we should be able to cover any style of tattoo that the client wants. Just in our first year, we’ve had ten different guest artists from seven different countries, with plans for even more this year. Were able to cover a range of styles from American traditional, Japanese, black and grey/color realism, photorealism, hand-poked to neo-traditional. With fair prices and an attention to details, the client should leave our shop with the best possible tattoo, in a relaxed atmosphere. Covering a wide range of styles and sizes of tattoos we can give just about anyone what they want. With bigger and better ideas and promotions, this should be a great coming year for Black Kross tattoo. Check out our YouTube Channel for more overview of what we do. Get to know us better through video contents, interviews and more! Stay updated with the latest trends and news by reading our articles written by specialist in their industry.